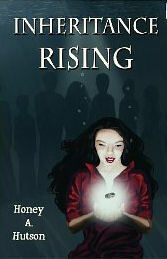 Today I have the opportunity to talk with Honey Hutson, the author of 'Soul Inheritance' and 'Inheritance Rising.' Thank you so much, Honey, for stopping by today. I understand that you have a new release out and I would love to ask you a few questions about it. Honey, what is the title of your latest release and what is it about? 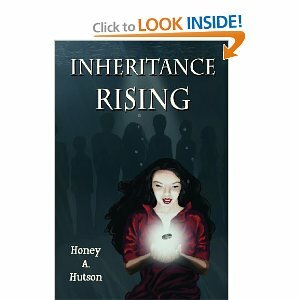 ‘Inheritance Rising’ is the title. It is the second book in the series and is a double-edged approach about what happens after. You read books all the time that end with the heroine winning the day, but what about tomorrow? This book picks up with the heroine after she wins control of the family dynasty and begins her journey to rebuild from the ground up. She faces her first obstacles and learns that being the one who is in control, and by default responsible for everything and everyone, isn’t all it’s cracked up to be. As she rebuilds the family she is also rebuilding the family home and legacy, which is symbolic of their struggles and obstacles. At the same time she's balancing a love life, discovering new friends and family and learning how fragile male egos can be for a woman who is tethered to the reins of a legacy. We laugh with her and cry with her while we are feeling her fears and joys. Wow, that sounds really great. What inspired you to write this book? Do you have a muse? This book is part two of three. The first book took us through her journey to accept and become the person she is by the end. This book takes it a step further and tells us what comes after. The original book was inspired by a single noise, the song of wolves. 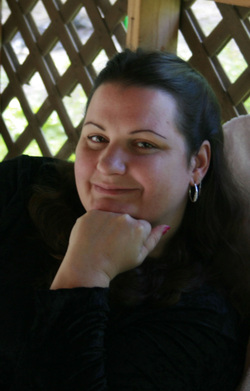 This book was inspired by a desire to continue her story with the really hard part of winning a battle. This story is about how this changes the heroine’s life forever and how she deals with fulfilling her destiny, which is beyond her control. Ironically enough, this family is really reflective of those original wolves and their own struggle to avoid extinction. I know how that feels on a very personal level coming from a family that has dwindled to only a few, where the line will likely end with us. So it touched me on a very personal and profound level to look back over the writing and discover something I didn't realize was there, which was completely accidental. It's extra personal now, to help her avoid extinction. Well, I guess that answers my next question. Is there any truth to any of your novels? I believe that there is always truth in any writers work. There are parts of me woven into everything I write. I don’t know if it’s possible to write without pouring some part of yourself onto the page. I wouldn’t even want to try. It's what makes my work come to life; it’s what makes the reader associate with it on a more personal level, and it’s what makes the characters real. Every now and then I accidentally find some parts of myself slipping out onto a page. Thanks for sharing that with us. What is your favorite genre and who are your favorite authors? Paranormal Suspense. Ray Bradbury to me is what every writer should strive to be, but no writer will ever again achieve such greatness. He had a skill and quirkiness that could make you draw a breath in suspense and snort with laughter at the same time. Steven King is the second reason I never quit writing. His persistence, stamina and sheer determination is inspiration enough for every writer who comes after. Both of these writers knew from the very beginning who they were and never doubted their convictions, which is exactly how I feel about what I do. Are you working on another project right now? Tell us about it. Yes, I am actually working on more than one. I am working on a re-write, which I hope to complete soon and I am working on book three of this series, which will be the final book. The rewrite is a novel I wrote some years ago that just needed some extra touches. It's maddening to think of things after a book is in print, so I'll change it until I am completely satisfied with it. It's part of my obsession I guess, or maybe that's a psychiatric tendency I should have checked out. Just for fun, tell us some non-related book “stuff.” What do you like to do when you’re not writing? Any favorite hobbies? Actually, writing pretty much takes up all the time I have. I like to go camping, several times a year, but it is a working trip. I go there alone to write with no distractions. Since I write paranormal and sometimes things that border on horror, this is the perfect set up. I am alone, in the deep back woods of Virginia, no campgrounds for me, the sun goes down and the night creatures start to stir. Who knows what else might be out there? It probably doesn’t help my imagination to scare myself to death. "Finding Bigfoot" just did an episode in our area. I discovered that we have what is locally referred to as a "Woodsbugger!" Honestly, I've never heard of it and I've been here my whole life. I also do some photography, so who knows; maybe we'll meet up one moonlit night in the deep summerwoods. If I disappear, just look for my camera hanging from a tree. Now wouldn't that make a great story! That would make for some interesting reading. I’m sure your readers want to know some personal information about you. What is your favorite food? Favorite places to eat? I like small personal restaurants. Places with a relaxed, homey feel. As for my favorite food, it varies, but it’s safe to say that a nice, lean steak on the grill will do just fine. Thank you so much for visiting with us today, Honey. Tell our readers where we can find more information on you and your books.